Ireland is set to miss a European Union target set for greenhouse gas emission reductions, according to new Environmental Protection Agency projections. The EPA said that Ireland will achieve just a 1% reduction on 2005 emission levels by 2020, instead of the target of 20%. Missing the legally-binding target opens the possibility of the country facing large fines. The EPA says that strong economic growth and an expansion of the agricultural sector will contribute to gas emissions, along with the continued use of fossil fuels in power generation. Transport emissions are also projected to rise from current levels by 17-18% by 2020, with a growth in diesel cars and freight. However, the projections anticipate a reduction in emissions after 2025, due to the anticipated growth in the number of electric vehicles. Stephen Treacy, EPA senior scientist, said: "Transforming our society to low carbon has associated climate and health benefits and our projections show that we are currently not on track to meet this ambition or meet our EU targets." Dr Eimear Cotter of the EPA said there needed to be a decisive move away from fossil fuels. Commenting on the EPA figures, Oisin Coghlan, Director of Friends of the Earth, said: "Leo Varadkar's Government stands indicted by these figures, which are shocking but not surprising given government inaction on climate pollution. 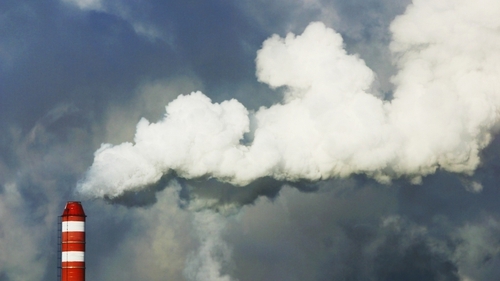 "Ireland agreed to its first climate pollution target exactly 20 years ago next week. But this EPA report says that in 2025 our emissions will still be as high as they were in 1998. They will not have dropped by one tonne in almost 30 years. "Ireland's long-running climate policy crisis is now an emergency." Minister for Communications, Climate Action and Environment Denis Naughten admitted the projections were "deeply disappointing", and said that Ireland will face fines. However, he defended the Government's strategy on climate change, and said that €22bn would be spent on meeting climate change challenges over the next decade. Minister Naughten said the Government would build on the National Development Plan and last year's National Mitigation Plan, and said Ireland would be one of the first countries in the world to ban smokey coal later this year, and one of the first countries to halt the sale of fossil fuel-powered cars in 2030.